...was quietly enjoying the rain. I suppose this one is a bit of a self portrait with that title! I must admit, this painting was much more challenging than I thought it would be. 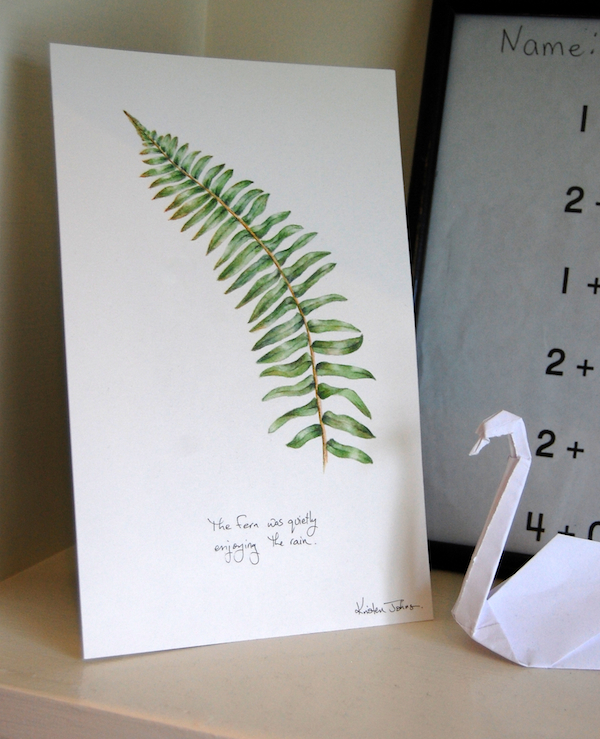 I actually had planned to do two fern fronds, but erased the second one after I had spent a while struggling through this one. 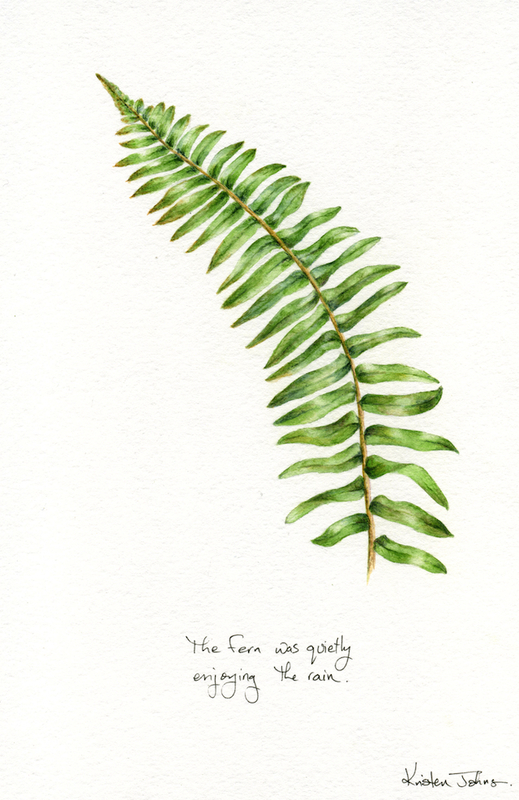 Ferns are so beautiful in their structure and their simplicity, but they don't have a lot of density, grit or deep shadows to really dive into and paint! I still like it though, and I did love all the rain we got this week. It feels good to get back to some normal routines this week! I've started a new painting... ah painting. It's like an old friend. 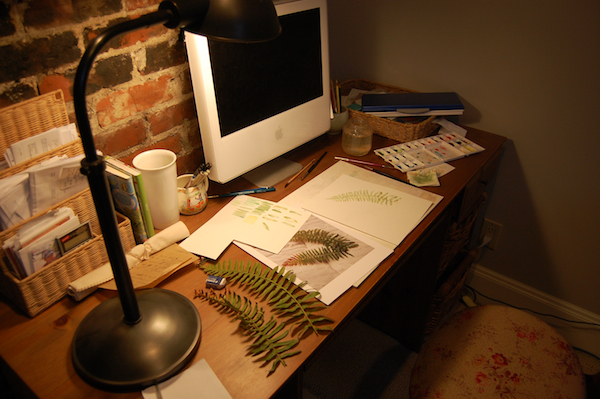 I've been craving some green lately so I clipped a couple of fern fronds from the front yard and thought I'd give them a try. Now I'm tucked into the den doing a few more late night washes of green. I've always loved the quiet of January! I wish you all a very happy 2015! 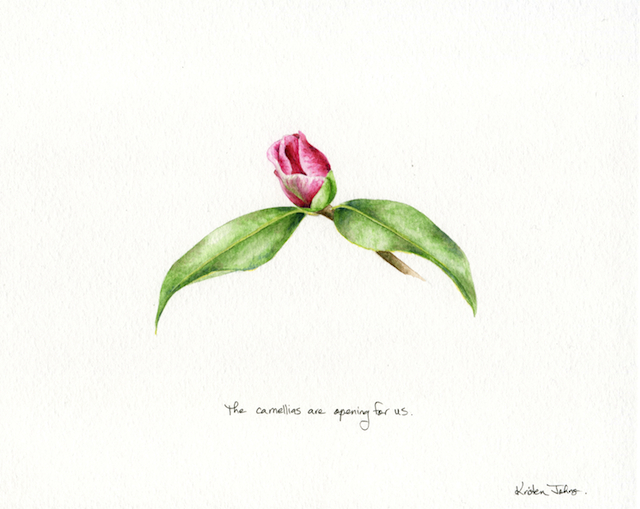 I am hoping for a year filled with a bountiful garden (less slugs, more blooms) and lots of finished paintings (preferably good ones!). 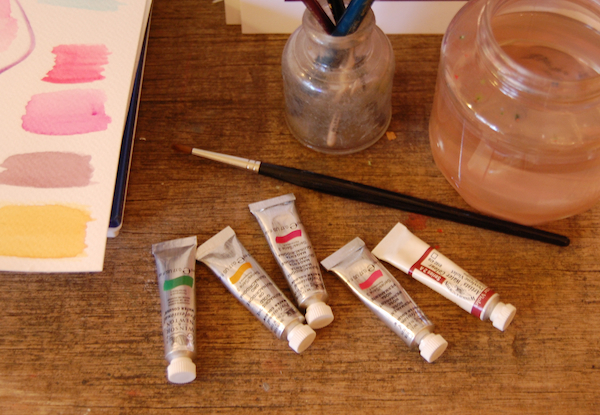 I've got five new tubes of paint to get me started this New Year. Yay! I hope I can use them well.... deep breath, let's go! May you have a creative and artful year!